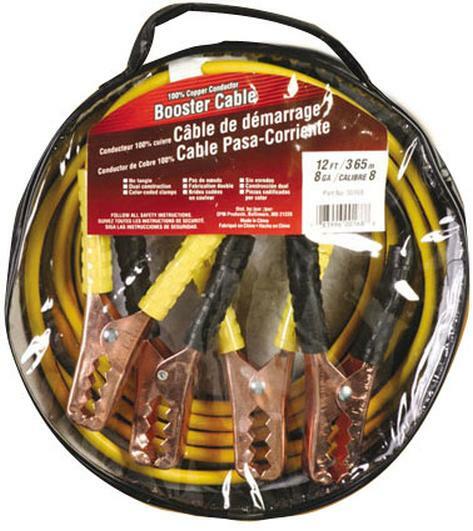 These Deka jumper cables are made of 8-gauge, 100% copper conductors. Tough vinyl insulation, with tangle-free dual cable construction and color coded clamps. Comes in handy storage bag!